Day-glo disco punk wrecking crew ILL are previewing their debut album at the Very Sickmass event in Greater Manchester on December 15. The party, held at the Kings Arms, Salford, billed as the "ultimate alternative Christmas party for people who prefer Halloween" features live sets from ILL and Nun Habit as well as a DJ set from Pink Kink. 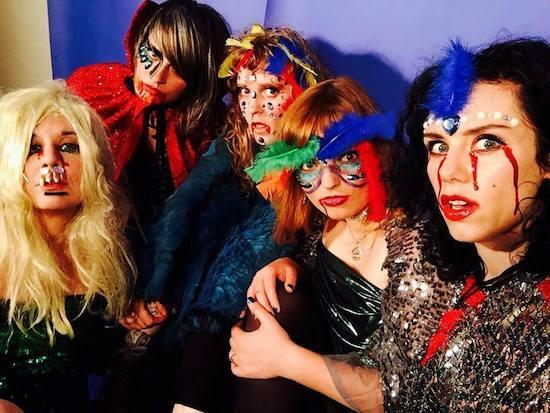 The feminist post punkers - who put the word 'art' into revolutionary party - recently completed their debut album We Are ILL, which is set for release on Box Records next Spring (2018). Punters are encouraged to dress in "strong costume" and to expect experimental cocktails with names like "Man Tears". Only a fiver in. Open late. More details here.